10 Live Bands starting Friday evening thru Sunday morning. 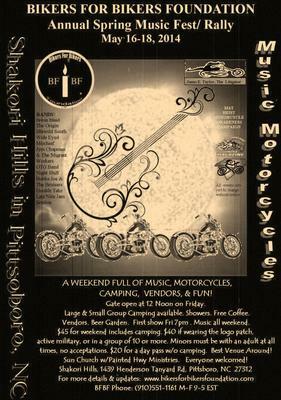 Camping Rvs, tents showers, vendors, prizes, trailer raffle, MOTORCYCLES. Minors must be accompanied by an adult at all times.